This version includes a lot of changes. I hope you enjoy this new version of Timmy Tickle. 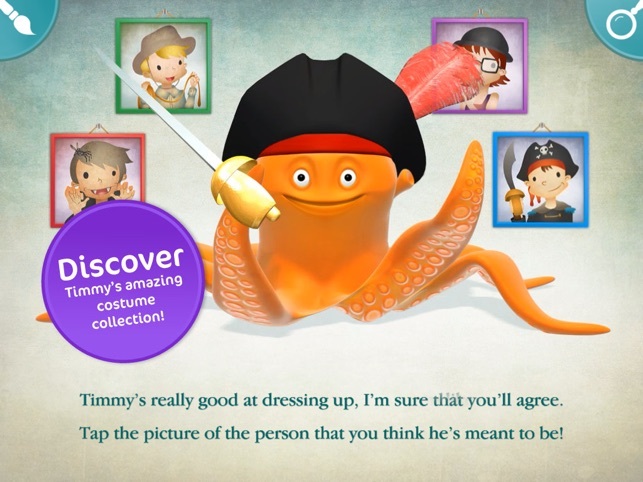 This is such a fantastic app and well worth the £2.99 I paid for it my 4 year old loves listening to the story being read to her and investigating all the pages, and after which she will read it again telling us what Timmy is doing. 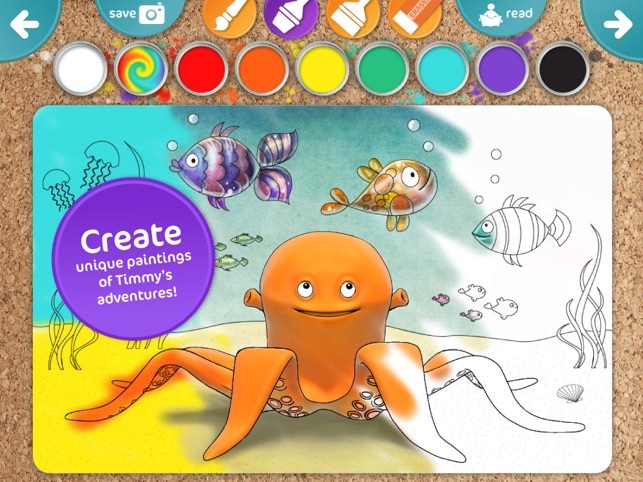 The application has a great way of teaching the children there colours, numbers in fun and unique way. The funny pages where Timmy is roller skating and washing up always provides laughter and many open ended questions. 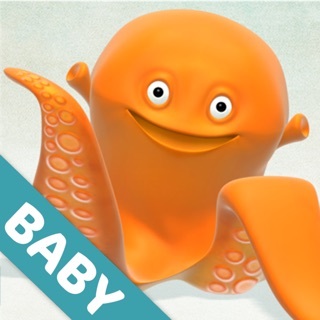 Not only do I recomened this as a parent, I am within the childcare industry and I know from past interactive books I have seen this is One of best available. 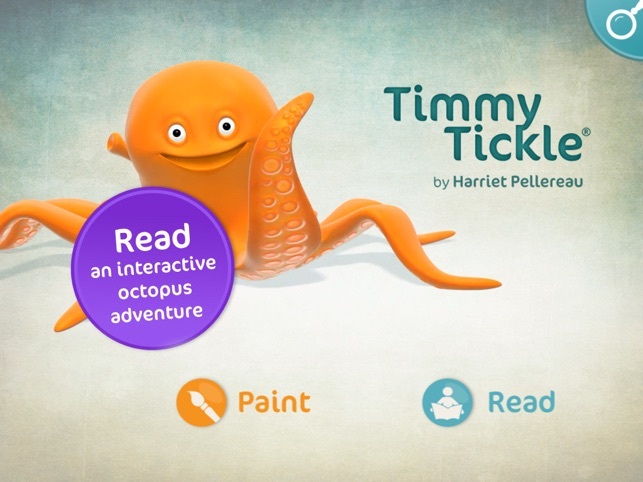 Hope your child enjoys Timmy Tickle as much as mine have . My children and I took to Timmy from the moment he invited them to tickle him on the first page. 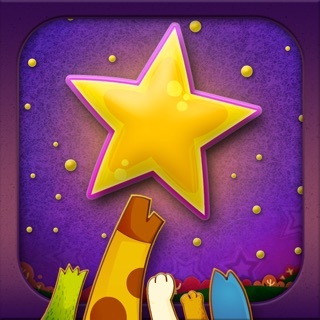 The activities are the star of this app, with the story loosely holding them together. Some are just for fun, while others help with colour, number and matching skills. 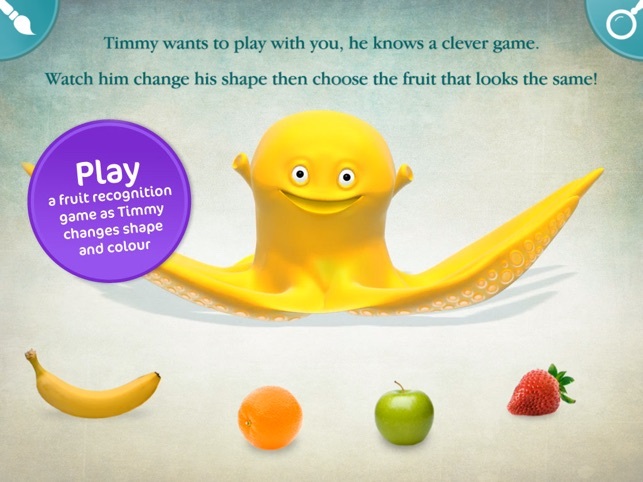 We have had lots of giggles together as Timmy makes himself into different kinds of fruit, whips disguises on and off, or tries to stay upright on his roller skates. 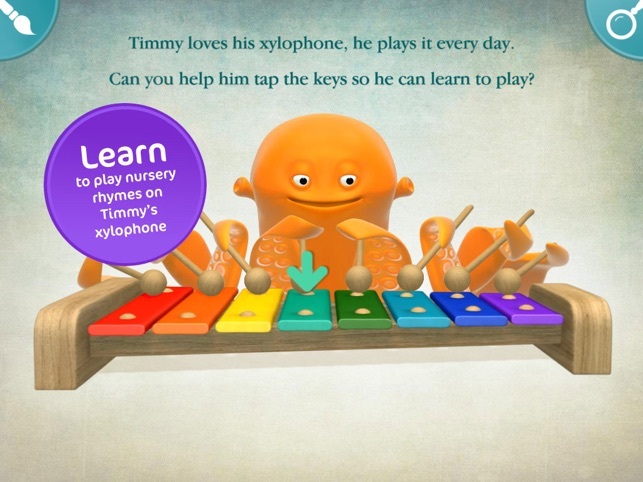 The xylophone page is our favourite of all. 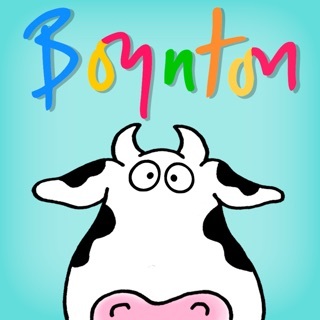 The app is a lot of fun for preschoolers, and really geared towards their needs. The animation is really high quality too. Recommended. 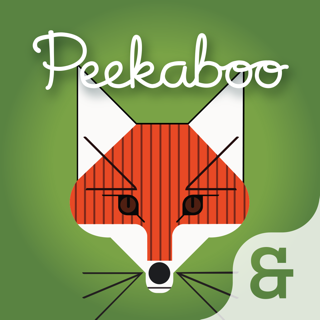 This is a gorgeous app for little ones - my two toddlers adore it! 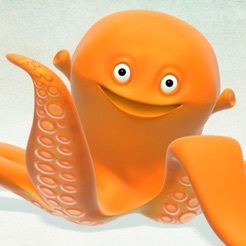 It's a lovely book (beautifully read by Gina Beck) with a very sweet, loveable octopus but the best bit is how interactive it is. My 2 year old loves playing the xylophone, bouncing the balloons and doing the washing up. It's really helping him learn his colours and he's already trying to count, so it's educational as well as fun! His favourite bit is turning out the lights and putting Timmy to sleep - he keeps trying to kiss Timmy goodnight! 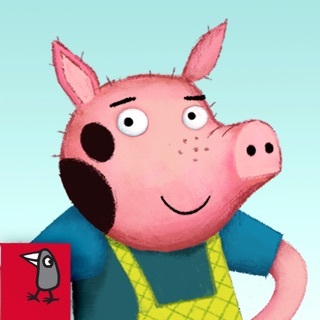 I cannot fault this app, it's wonderful! I hope there will be more? !